Lock in a great price for de Walvisvaarder van Ameland – rated 9 by recent guests! Gera is a beautiful hostess, who makes time for her guests. I really enjoyed chatting with her. The lounge is inspiring with its artistic display of antiques and old wares. The hostess went out of her way to make me comfortable. The breakfast was very nice and when Gera discovered I liked cappuccino for breakfast she made me one or more each morning. The rolls were fresh and divine. The room was tastefully decorated, clean and the shower was just right. Briefly: home from home! Gera phoned the council for me when I lost my OV chip card, an essential travel card for the Netherlands and it was found! Anorher proof how low criminality is there. I know the island very well having stayed there for holidays and weekends since my childhood and it w as nice to be back to visit family. The weather was gorgeous! very cosy room, right in the middle of Hollum. super friendly hosts. Die Wirtsleute sind supernett, das Frühstück einfach aber reichlich, besonders leckerer Kaffee. Man konnte alles nachbekommen. Das Zimmer war sehr schön eingerichtet, ruhig, sauber, das Bett gemütlich. Die Gastgeberin ist sehr nett, hilfsbereit und bemüht um ihre Gäste. Das Haus liegt zentral mitten im Ort. de Walvisvaarder van Ameland This rating is a reflection of how the property compares to the industry standard when it comes to price, facilities and services available. It's based on a self-evaluation by the property. Use this rating to help choose your stay! If it’s an escape from hectic main-land life that you’re looking for, this is the place to be. Enjoy long sandy beaches all to yourself, relax with the sound of crashing waves and let the fresh sea air carry away your worries. After a day of activity, retreat to the comfort of your spacious double room or enjoy a drink in the hotel bar. Located in the center of the village, the local shops and charming streets are all nearby. Island hopping is also possible with ferries leaving from the village Nes. 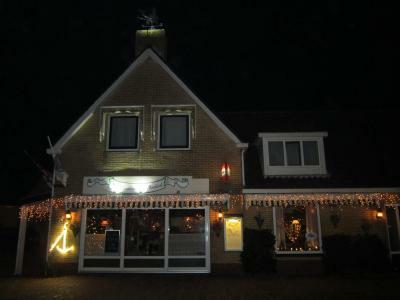 When would you like to stay at de Walvisvaarder van Ameland? House Rules de Walvisvaarder van Ameland takes special requests – add in the next step! One child under 3 years is charged EUR 5 per stay in a crib. ATM card de Walvisvaarder van Ameland accepts these cards and reserves the right to temporarily hold an amount prior to arrival. Please note: the hotel doesn't accept credit card payments. The hotel does accept Maestro debit card -, PIN - and cash payments. Please note that dogs can not be accommodated at de Walvisvaarder van Ameland. There seemed to be a chemical smell in my room and towels that bothered me.